The Western Cape government expressed condolences to the family and friends of the pilot. 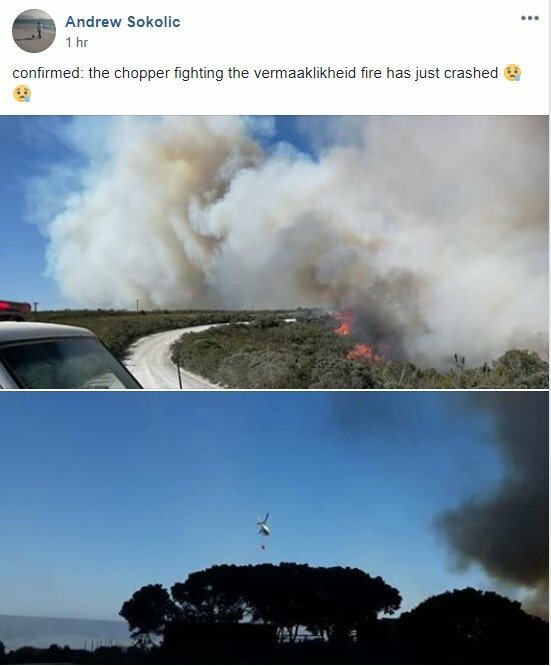 However, the Eastern flank was the main concern with firefighters on the ground and on the air battling flames on a 3,5km line, trying to prevent it from jumping the Puintjie/Blombos road. The City of Cape Town fire and rescue services has also been put on standby to provide additional backup if required. The public was urged to report fire outbreaks across the province as soon as possible using the emergency number 112.